Fitness and teamwork! All in a day's work! Wednesday, August 2nd and 9th Mobility Nights with Dr. Jackie Varnum. Mobility Night is at 6:30pm and group classes will run on the half hour. This will be a 2 part series going over mobility for CrossFit Athletes. This first session will focus on the shoulder and overhead movements. 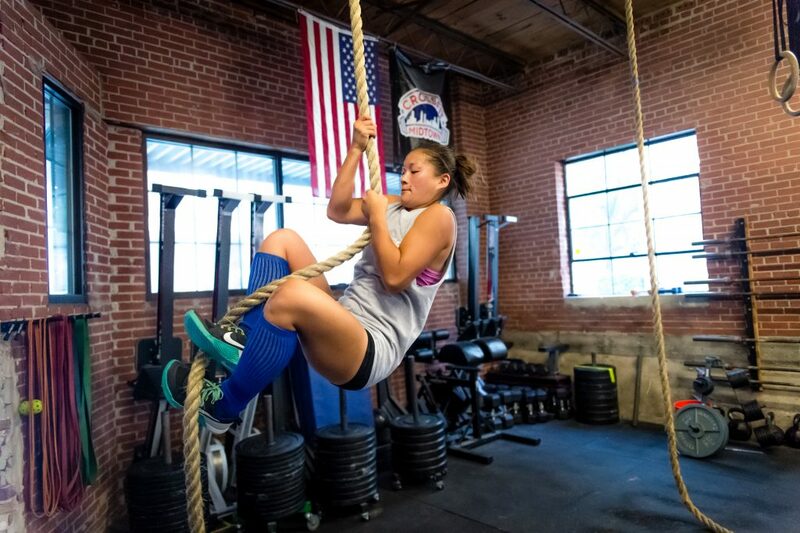 Athletes will use banded distraction to increase range of motion and then use muscle activation and movement reinforcement to improve stability/mobility in the overhead press and overhead squat. Post load for complex and time for rep rounds. Ex: 205# 8:10 L2. A. Hang Clean: In 16 minutes work up to a heavy hang clean (may be squat or power). 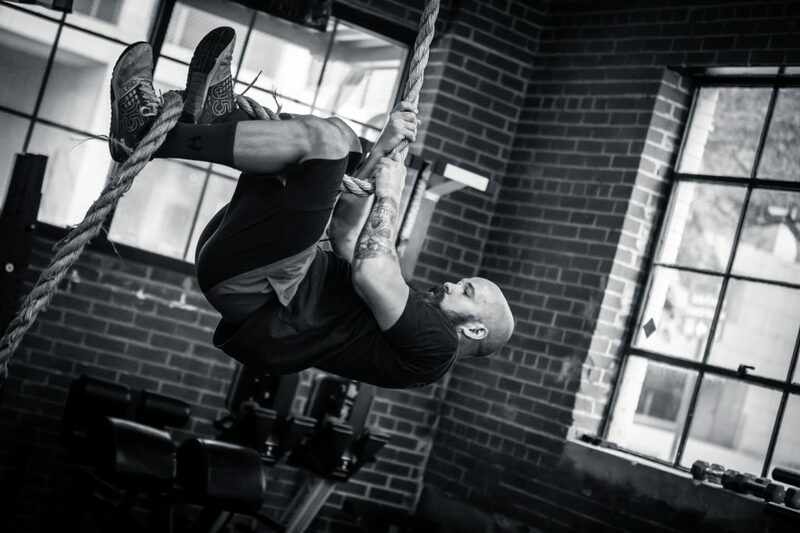 A. Kipping Pullups Progressions: Spend 10 minutes working on kipping pullups. To start the workout, one partner will carry both kettlebells 100m and the other will carry them back 100m for 200m total. Both partners must travel together. *While one partner is doing pullups, pushups, and air squats, the other partner must hold the kettlebells. Double Kettlebell Hold (m = 24’s/32’s, w = 16’s/20’s kg). All reps are team totals. Partners may partition the reps any way. Both partners run 200m together at the end of each round. THUR 07.27.17 Bring A Friend Day! 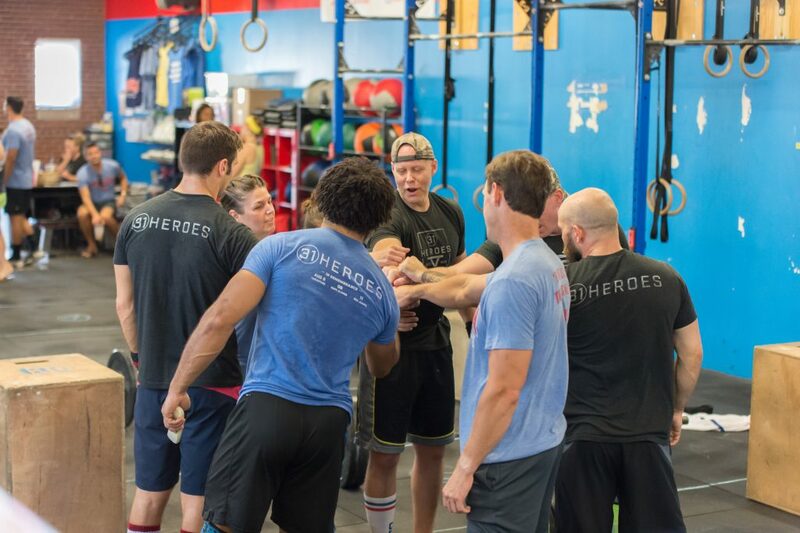 This week we have a partner WOD Bring-A-Friend (BAF) Day. 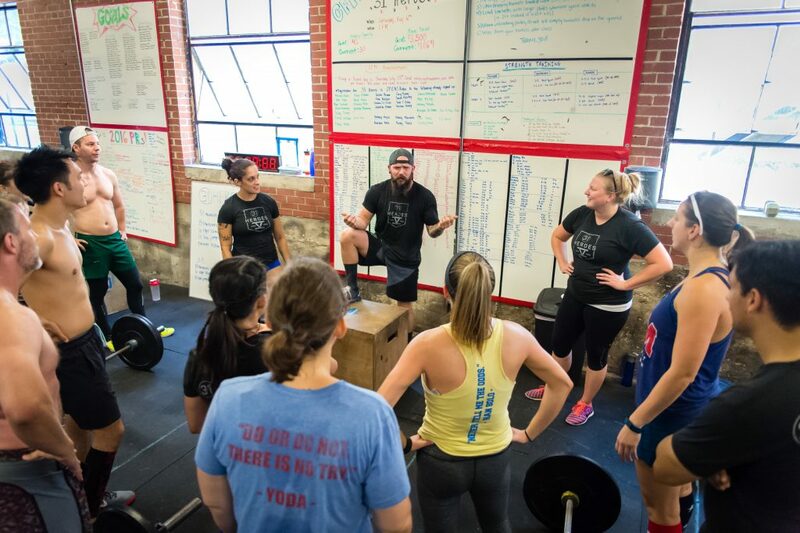 This is a beginner friendly, all levels, partner WOD so look to invite a friend, family, or co-worker to come check out CrossFit Midtown and get in a great workout! We’ll be teaching the deadlift as it’s one of the foundational movements (see video). All reps are team totals and the reps and rounds may be partitioned anyway. 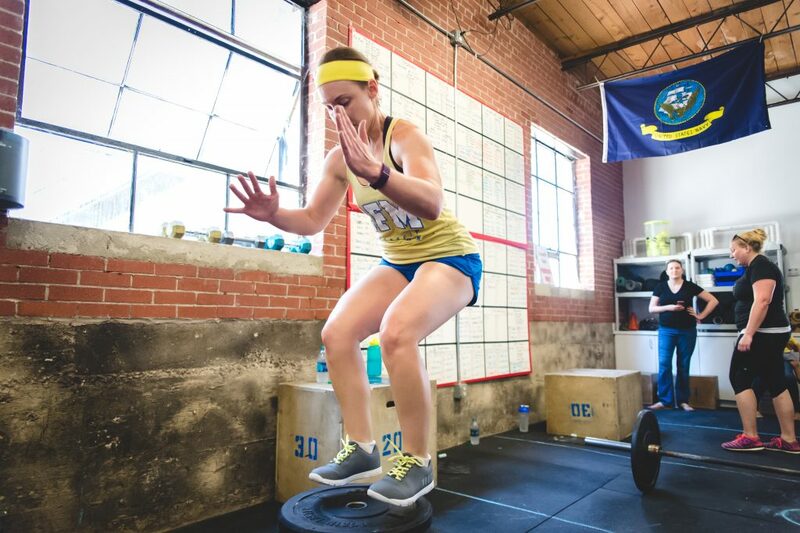 **Partner maintains a plank position with toes on the Medball while other partner does row. Men = 20 cal, M/F teams = 18, and Women = 16 per round. Post weight for deadlift and time to complete WOD. Ex: 285#, 11:47 Rx. 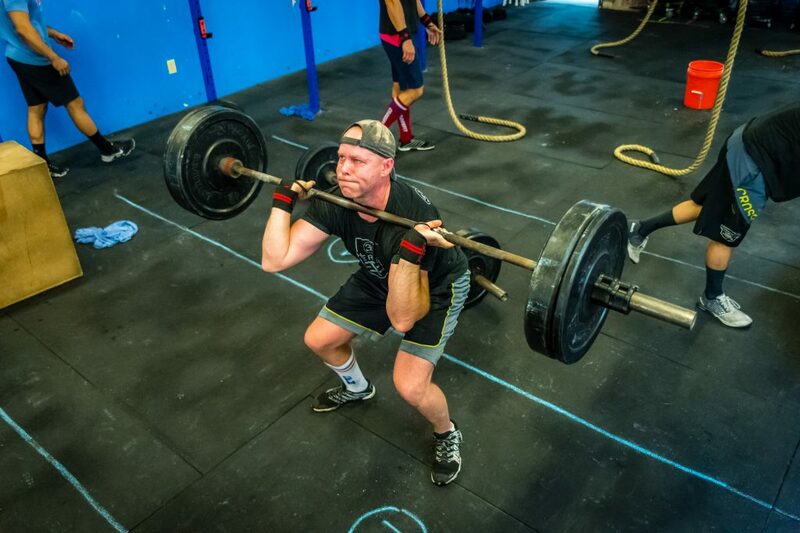 Dyer completing a set of thrusters #cfmstrong! A. Weighted Pullup: 3 sets of 7. All sets at same weight. Max reps on final set. Post load and max reps for weighted pullups. Post time to complete WOD. If time capped, score reps completed of 3 rounds (16 reps/round). 3 second negative. 0 seconds at the bottom (touch-and-go). *X = ½ second up (dynamic). 1 second hold at top. Post load for Press. Post total rounds and reps from AMRAP. Ex: 135#, 7+10 Rx. A. 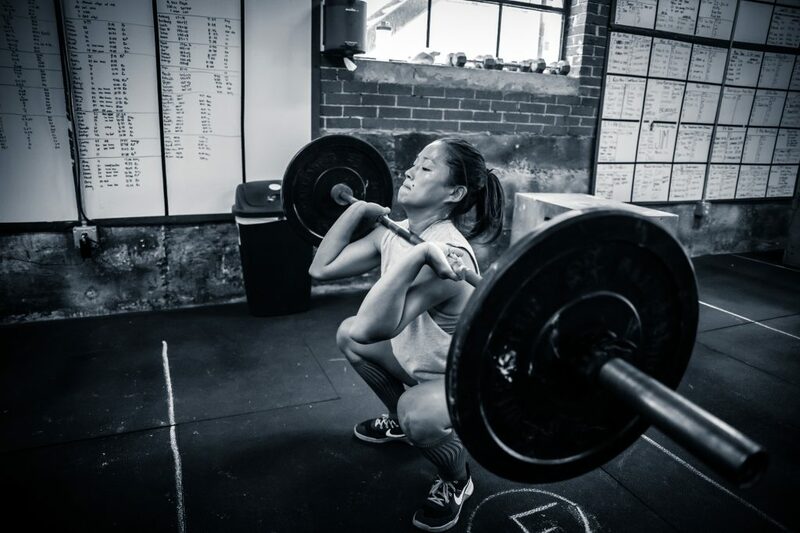 Front Squat: 3 sets of 5 reps. Worksets all at the same weight. Max reps in final set. Box Jumps (24/20) Step downs only. Post load and reps for Squat, total reps from 3 rounds. 200m Run = 1 rep: 6 reps 230#, 215 Rx. One partner working at a time. All repetitions are team totals. Partners must alternate the 200m runs. Use a baton for the relay exchange. For the other movements repetitions may be partitioned any way.